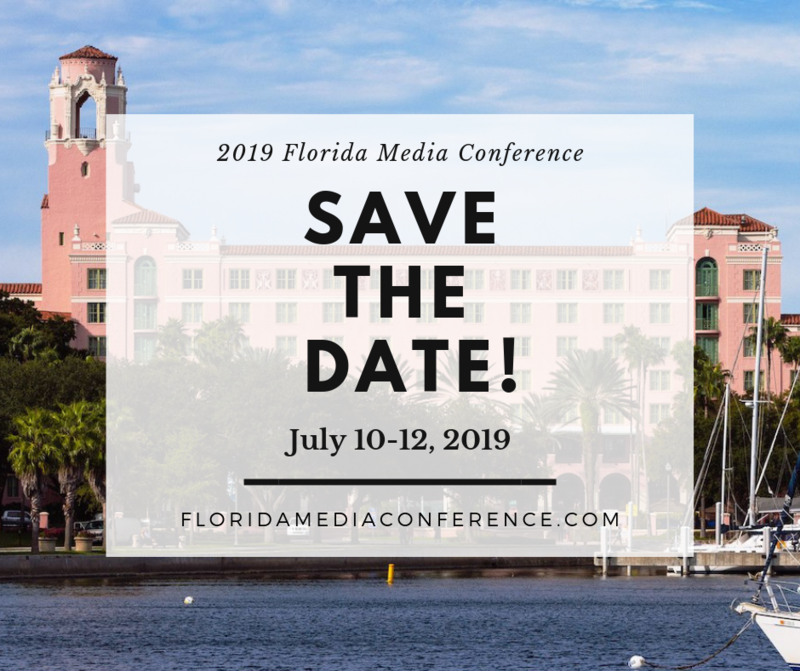 We’re excited to announce that the 2019 Florida Media Conference will be held July 10-12 at The Vinoy in St. Petersburg. We’re working hard to develop programs and bring you the very best speakers – so stay tuned! Check FloridaMediaConference.com for updated information.